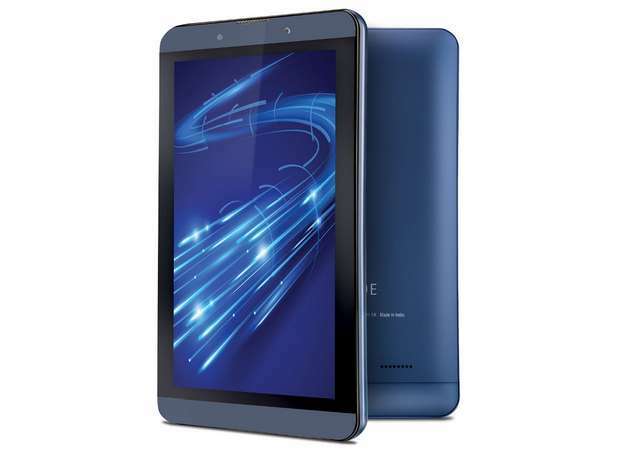 iBall has made a new addition to its Slide tablet series in India called Slide Brisk 4G2. The device has dual SIM slots that supports voice-calling and offers both 4G LTE and VoLTE connectivity. It features a 7-inch IPS multi-touch display with HD (1280x720) resolution, rounding up the pixel density to 209ppi. Under the hood, it is powered by an unspecified quad-core MediaTek processor of unknown clock speed, clubbed with 3GB of RAM and Mali-T720 GPU. The tablet boots Android 6.0.1 Marshmallow out-of-the-box and comes pre-loaded with 16GB of storage that can be expanded via MicroSD card (up to 32GB). The Slide Brisk 4G2 harbours a 5-megapixel autofocus camera with a single LED flash at the rear, while a 2-megapixel camera is placed at the front for video-calling. In connectivity aspect, it offers Bluetooth, WiFi, 3G, 2G, GPS, FM radio, and USB otg in addition to 4G VoLTE. It is backed by a 3500mAh battery. The iBall Slide Brisk 4G2 is available at selected offline and online stores across India at a price of Rs 8,999 (US$131). It comes in Cobalt Blue colour option only. Last week, the firm released an Android tablet dubbed Slide Nimble 4GF, flaunting an 8-inch WXGA (1280x800) display. The tablet also bears 3GB of RAM and 16GB of built-in storage and supports 4G VoLTE, but this packs a larger 4300mAh battery. It is priced at Rs 9,999 (US$146).